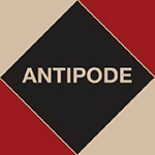 In this video Jordanna Matlon (Institute for Advanced Study in Toulouse) discusses her article, forthcoming in Antipode 46:3, ‘Narratives of Modernity, Masculinity, and Citizenship amid Crisis in Abidjan’s Sorbonne’. She situates the Sorbonne, a public-speaking area in the centre of Abidjan, Côte d’Ivoire, within the context of the political and military conflict that led to its rise and ultimate demise. Next, she positions the Sorbonne as a social space where men reframed the crisis narrative and their place in it, drawing on a legacy of Abidjan as the ‘Paris of West Africa’ to articulate themes of modernity, masculinity, and citizenship. Literally and ideologically, predominantly un- and under-employed men centred themselves from the global and urban periphery. They enacted hyperbolised modern masculinities in opposition to their former French colonizers and migrants from regional countries. Jordanna’s article proceeds in two parts. In the first, she reviews the literature on crisis in the African city with a focus on informality and gendered conceptions of work. In the second, she analyses Sorbonne sociality under the rubrics of: politics, as a space where men centred themselves and the city at the centre of global affairs; poverty, as a place where men shared in their experience of poverty while simultaneously generating fantasized identities within a community of insiders; and penises, as a masculinist and misogynist space where men asserted their rightful place in the city as men and citizens. Jordanna is a postdoctoral fellow at the Institute for Advanced Study in Toulouse. She studies the livelihoods and lifestyles of men in Abidjan’s informal economy. In addition to Antipode, she has published in Poetics, Contexts, Ethnography, The Black Scholar, Global Dialogue and The Africa Report, among other places. She is currently preparing her book manuscript, tentatively titled “I will be VIP!”: Culture, Politics, and Masculinity on Abidjan’s Periphery. Special thanks to Carlos Carmonamedina for producing this video. This entry was posted on 17 February 2014 by Antipode Editorial Office in Video Abstracts and tagged Abidjan, Africa, Côte d’Ivoire, citizenship, colonialism, conflict, Crisis, gendered work, identity, informality, masculinity, misogyny, modernity, narrative, performance, politics, poverty, public space, public sphere, the African city, underemployment, unemployment.